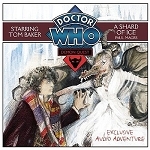 The Doctor arrives in a bleak English midwinter of long ago. Plunging into the snowy landscape of the Dark Ages, he learns that wild dogs besiege the local Tilling Abbey every night. When he is given shelter by the sisters of the abbey, the Doctor begs an audience with the Mother Superior they fiercely protect. 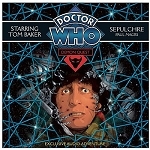 Something unearthly has already happened here - and if the Doctor is right, it's connected to his recent encounters with an ancient enemy. As night falls again, the dogs can be held off no longer - and the sisters' secret is about to be revealed. 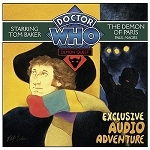 Forced to draw his enemy off into the depths of the TARDIS, the Doctor finds himself in a nightmarish chase through his own ship - but is he the pursuer, or the pursued? 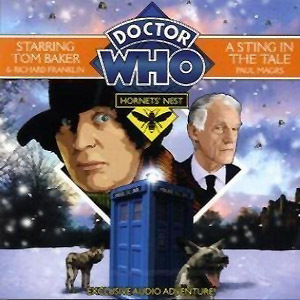 As they fight him on his own ground, the hornets are determined to possess his mind...With Tom Baker as the Doctor, Richard Franklin as Mike Yates, Clare Corbett as the Nun, Susie Riddell as the Sister, Rula Lenska as the Swarm and Susan Jameson as Mrs Wibbsey, "A Sting in the Tale" is the fourth of five linked stories written by the acclaimed Paul Magrs.